Coming soon... The Panther Fitness Center! 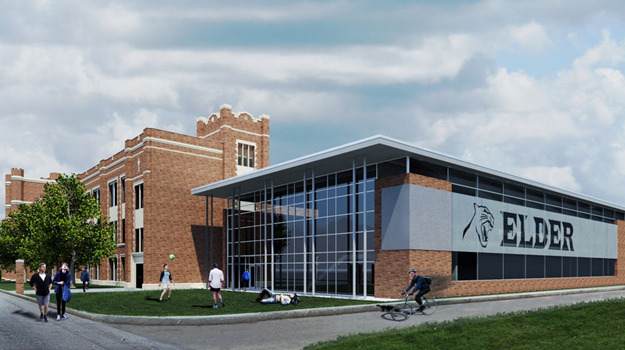 Elder High School’s board of trustees recently approved the construction of a new fitness center at the storied corner of Vincent and Regina avenues in Price Hill. The 19,000-square-foot Panther Fitness Center will be the first new building established at Elder’s main campus since the basketball gymnasium, the Memorial Fieldhouse, was completed in 1980. The conversation about building the new fitness center began in 2014 when current NFL tight end Kyle Rudolph – upon signing a contract extension with the Minnesota Vikings – pledged to help his high school improve its weight room facilities during his press conference. Rudolph, a 2008 graduate of Elder, later met with school administrators to discuss how to best meet the current and future needs of student-athletes. Quickly realizing that Elder had outgrown its current weight room in the Donohoe Center, a space utilized since 2001 with a capacity of just 59 occupants, it was decided to build the new fitness center and then repurpose the current space. Thanks to Kyle’s generosity and commitment to Elder High School, we have this amazing opportunity to provide a state-of-the-art fitness center for student-athletes. outfitting the second floor in preparation for Phase II. re-purposing of the Donohoe Center, which currently houses a weight room, spirit shop and coaches’ office. By keeping the best interests of our students and faculty at the forefront, these improvements will greatly enhance the academic environment – body, mind, and spirit – that we can offer to current and future men of Elder. We also will be able to improve the teamwork and cohesiveness of our programs by allowing all levels to train at the same time, freshmen through varsity. area for potential community outreach programs. 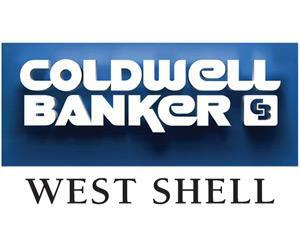 Conceptual design work began in 2017, led by Jeffery Sackenheim, a project manager with SHP Leading Design. Input from Elder’s coaches and administration was collected through a series of design exercises. A groundbreaking for the new center is scheduled for early September of this year. Fundraising continues for Phase II of the project.